The Everyman Theatre was able to involve themselves with the Roma youth and to make them act and enjoy the project and to be more confident. This is happening every Wednesday until December. In two weeks' time we will start to go to the theatre and to rehearse the performance. YES! You read that correctly, to rehearse. Because in the past few weeks the young people came up with ideas for the performance and they have their own scenario to use in the performance. 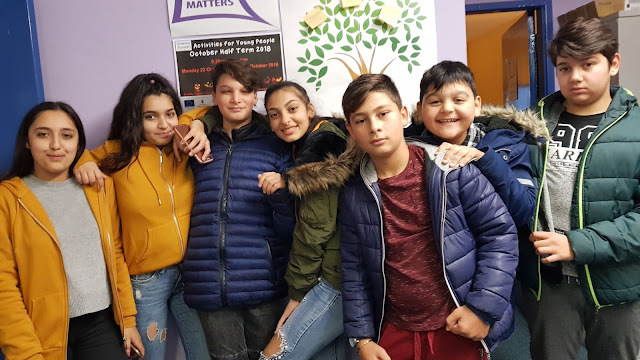 Matt Rutter from the Evereyman Theatre says "We all are ready for the show in December that this group of Roma young people have a lot of things to say annd they have all of our support to put this into practice."